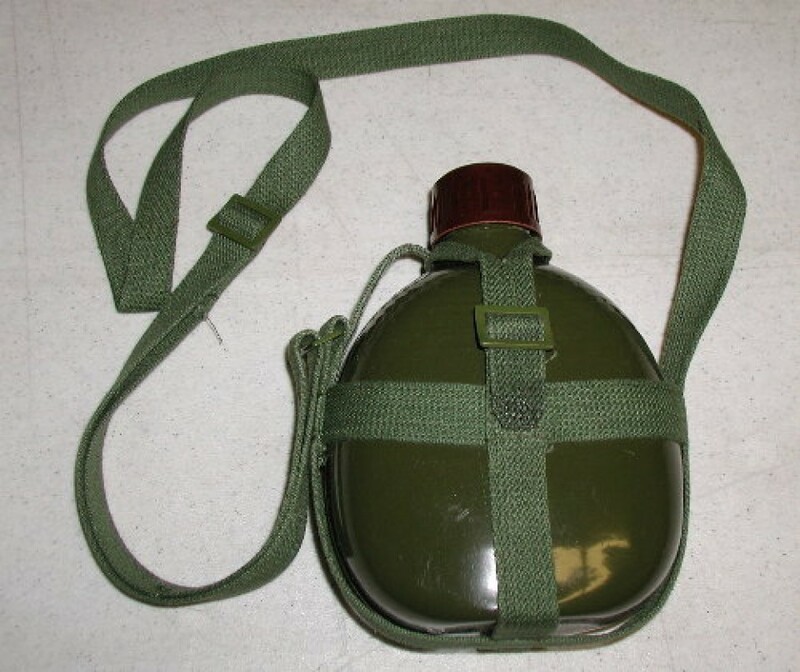 Chi-Com Canteen. These canteens are perfect for your NVA / VC impression. Enameled aluminum with OD Green web carrier harness. Clean and new, so no nasty smell or taste!